According to a Precision Rifle Blog survey, the MasterPiece Arms (MPA) chassis system is the second most popular stock in the PRS game, and it’s gaining ground fast. 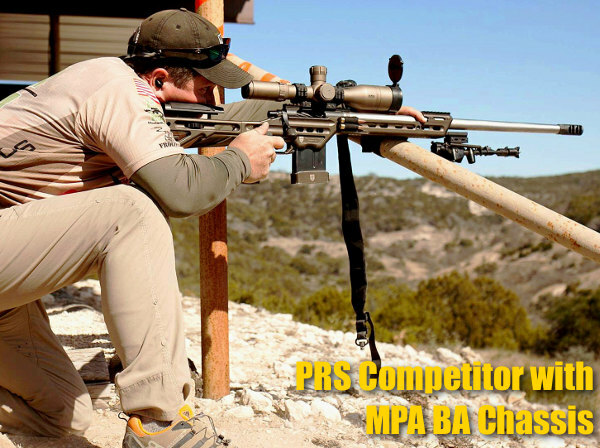 MPA was second only to Manners Stocks in popularity among the top 100 PRS shooters. Remarkably, the MPA chassis experienced a nine-fold increase in use in 2016 over the previous year. This thing is really catching on. 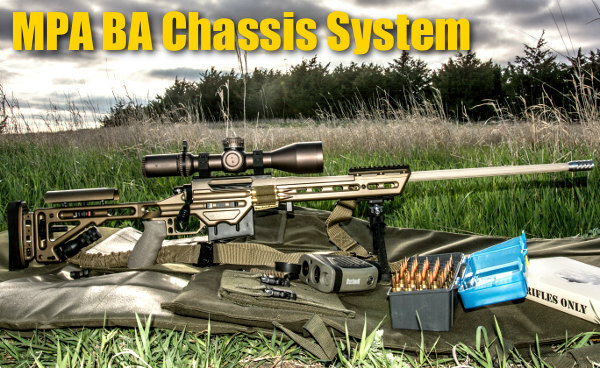 The “latest and greatest” MPA stock system is the MPA BA Competition Chassis. This offers the best features of the original MPA BA Chassis system plus some new, notable enhancements. With the elimination of the monopod, weight is reduced. A movable barricade stop comes standard. The buttstock offers full adjustability for length-of-pull, cheek height, and buttpad height/cant. Rotating, Multi-Position Barricade Stop — Aids stability when shooting on a variety of barricades. Trinity Rail System — Allows closer bipod when shooting off oil drums or similar props. Modified Magazine Well — This “Ryan Castle” magwell allows fast side-loading of mags into chassis. Rear Bag-rider Attachment — Improves tracking/stability in rear sandbag. To fit PRS Production Class Rules (PCR), MPA has developed the new $1999.99 BA Lite PCR Competition Rifle built around a Savage Model 12 short action. The Savage action is upgraded with a Rifle Basix 2-lb trigger, and the adjustable, MPA BA Lite Chassis offers a bag rider, barricade stop, and even a built-in bubble level. Bipods can be attached up front to a rail, with optional spigot mount. MPA PCR Rifles come with stainless Bergara barrels, 22-26 inches in length, fitted with MPA muzzle brakes. Chamberings offered are: 6mm Creedmoor, 6.5 Creedmoor, 6-6.5×47 Lapua, 6.5×47 Lapua, .243 Win, and .308 Win. The PCR rifle includes a 10-round AICS-type magazine. 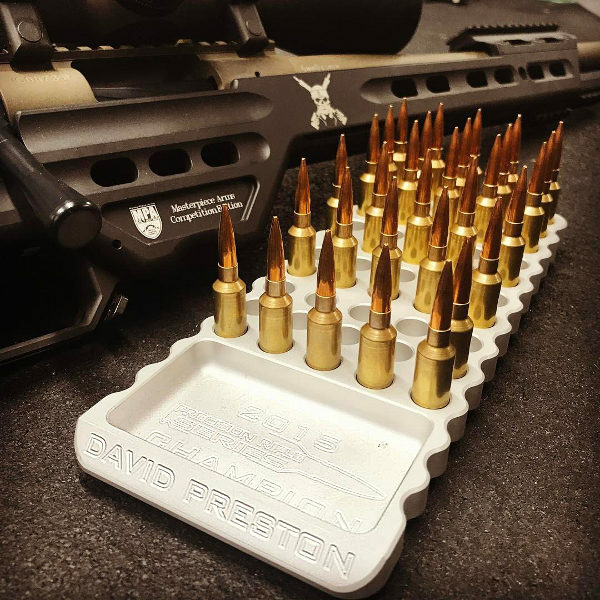 Share the post "MPA Chassis Finds Favor with PRS and Tactical Competitors"